You can download the interview pdf (4.2MB). I just wanted to thank you all for you wonderful training in 2009 and to wish you and your family a wonderful Christmas and New Year break. 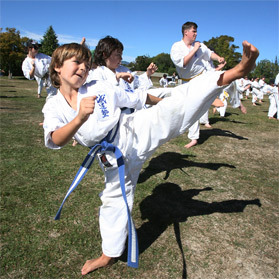 One of New Zealand’s premier karate masters has been a student for 34 years. You are welcome to come and observe. There is a beginners "Start up Pack" available that includes a uniform.